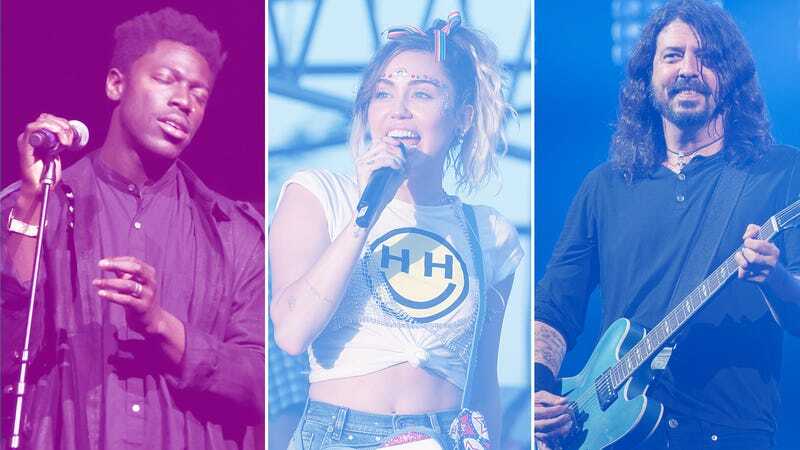 Moses Sumney (Photo: Randy Shropshire/Getty Images for The Art of Elysium), Miley Cyrus (Photo: John Lamparski/WireImage), and Dave Grohl (Photo: Samir Hussein/Redferns). Graphic: Nicole Antonuccio. Every Friday, dozens of new records are released into the wild. Some make big splashes, and others sink almost immediately. For most music consumers, it’s almost too much information, and save for those precious few who spend their hours glued to review sites and release calendars, it’s hard to know what’s coming out when. Thankfully, The A.V. Club is here to help those struggling souls. Each month, we offer a fairly comprehensive list of what’s coming to record stores and streaming services in upcoming weeks, complete with capsule previews so interested parties can know what to expect. Dream Syndicate, How Did I Find Myself Here?